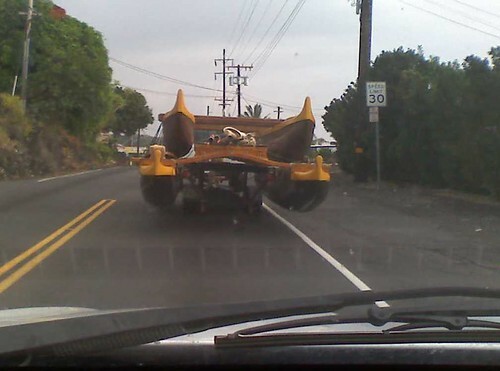 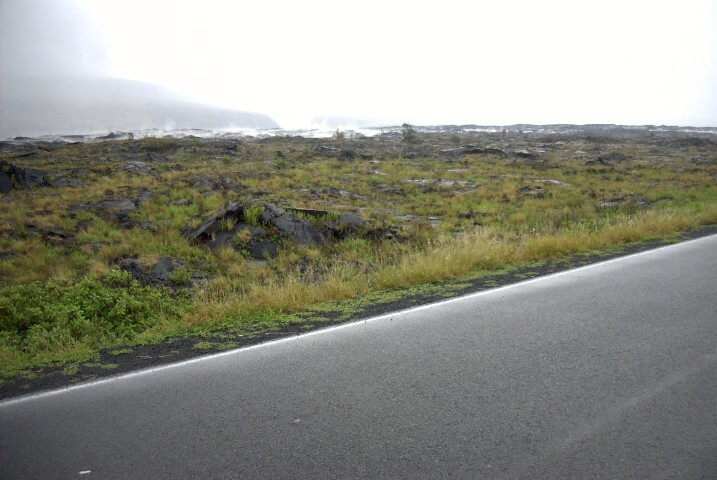 The theme for NaBloPoMo (National Blog Posting Month) is “looking.” So I am always on the lookout for sights along our Hawaii roads that might not be typical in other parts of the world. 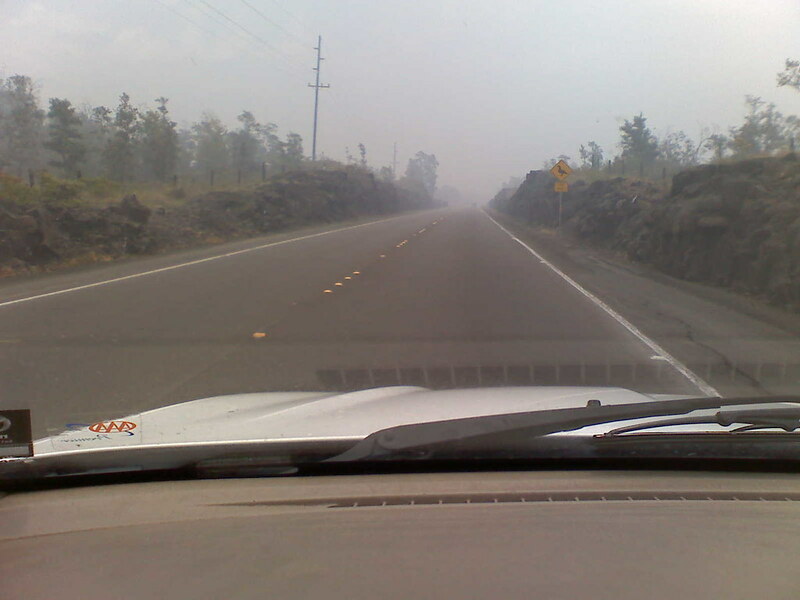 The sight above is fairly normal on the Big Island – driving into the vog, sulfuric air resulting from our volcano. As we drive into the area of Kilauea, the Hawai‘i Volcanoes National Park, you can see the steam vents alongside the road.